Analyze and report computer network outages. Analyze network data to determine network outages. 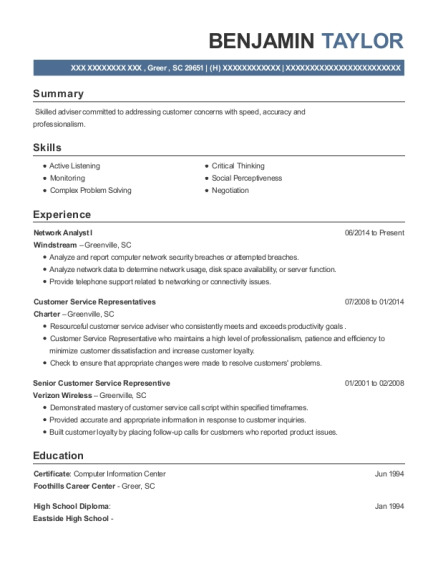 Resourceful customer service adviser who consistently meets and exceeds productivity goals. 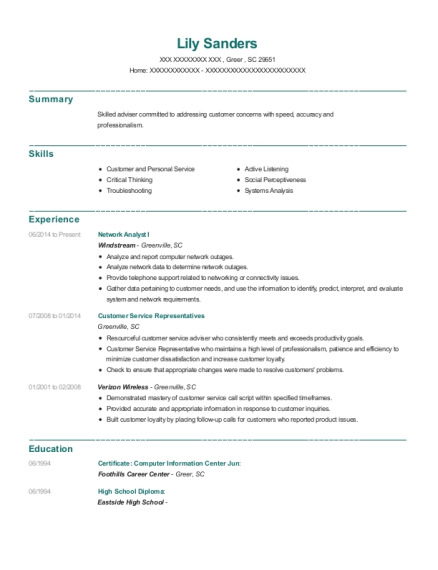 This is a resume for a Network Analyst I in Greer, South Carolina with experience working for such companies as Windstream and Verizon Wireless. 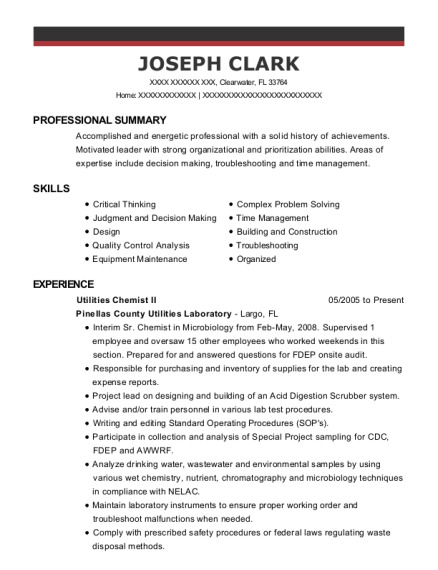 The grade for this resume is 0 and is one of hundreds of Network Analyst I resumes available on our site for free. 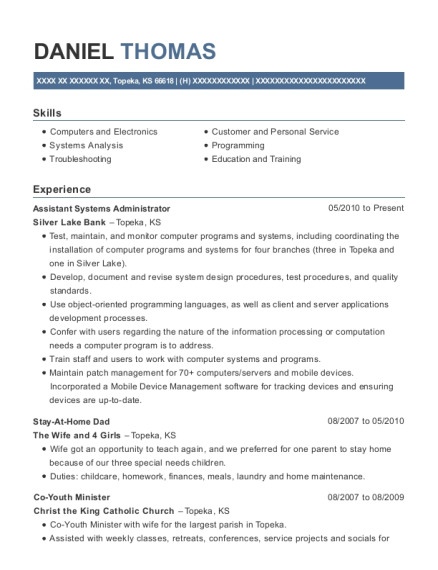 Use these resumes as templates to get help creating the best Network Analyst I resume.